Angela listens. That is the best part of it. The passing of a loved one is almost always met with a range of complex and debilitating emotions including paralyzing disbelief, anger, overwhelming depression, guilt and inner conflict. The weight of these emotions can be compounded with the myriad responsibilities of managing the loved ones’ affairs while keeping your own family, career and/or finances afloat. It can be incredibly difficult to overcome this and embrace the new reality of life without your loved one. 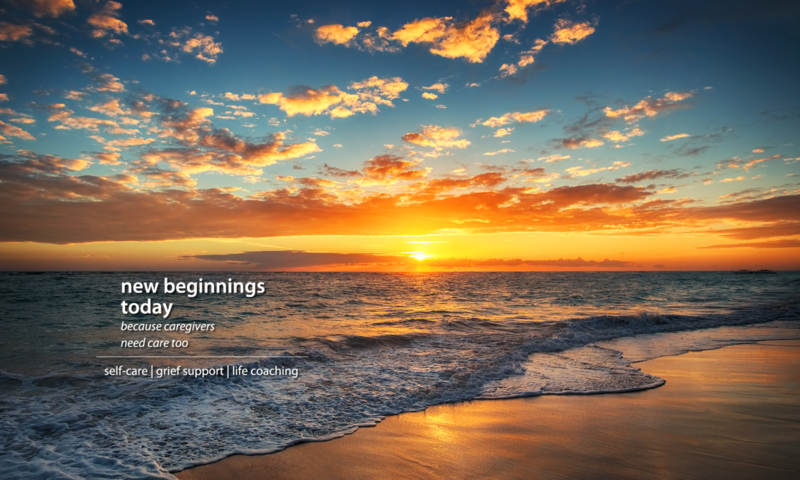 Grief support provided by New Beginnings Today is a valuable support service which aims to add to and enhance the emotional well-being, strength and peace of mind of those who are enduring the grieving process. Through listening and sharing in an intimate and supportive environment, clients are provided with information about grief support, expectations, resources, coping and more. Clients are also validated as they progress through the different stages of grief. Most importantly, clients are encouraged to feel their emotions and understand that grief is an individual process. New Beginnings Today offers this service to bereaved individuals directly, as well as, professionals who support grieving families. Contact Angela Mozelle to schedule a consultation today.